One of the Blockbusters of Hollywood the Guardian of the Galaxy is also known for its unique costumes worn by celebrities. Like Chris Pratt played terrifically awesome character - Peter Quill as the part of Star-lord, and people across the line did flat by his flamboyant style wearing stunning outfit. 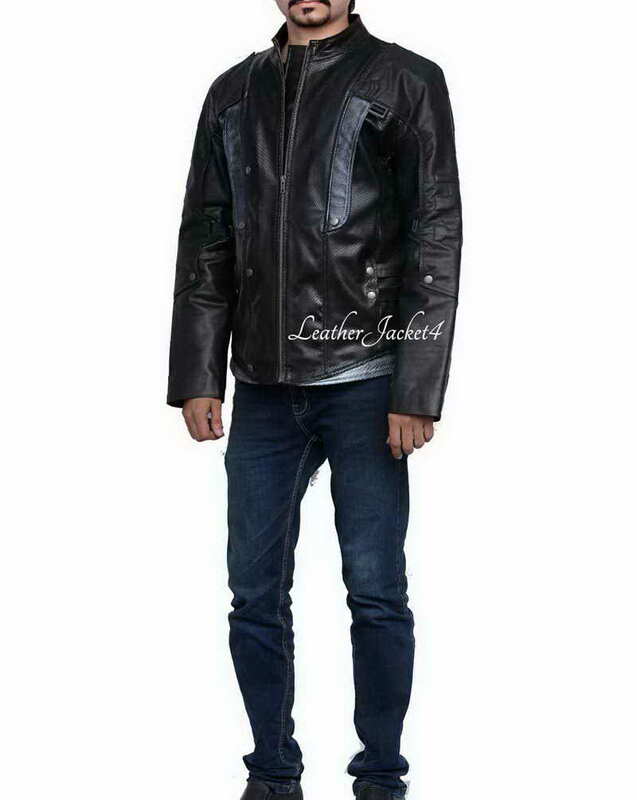 We are pleased to prepare well design replica of the same jacket worn by Chris Pratt in the movie. 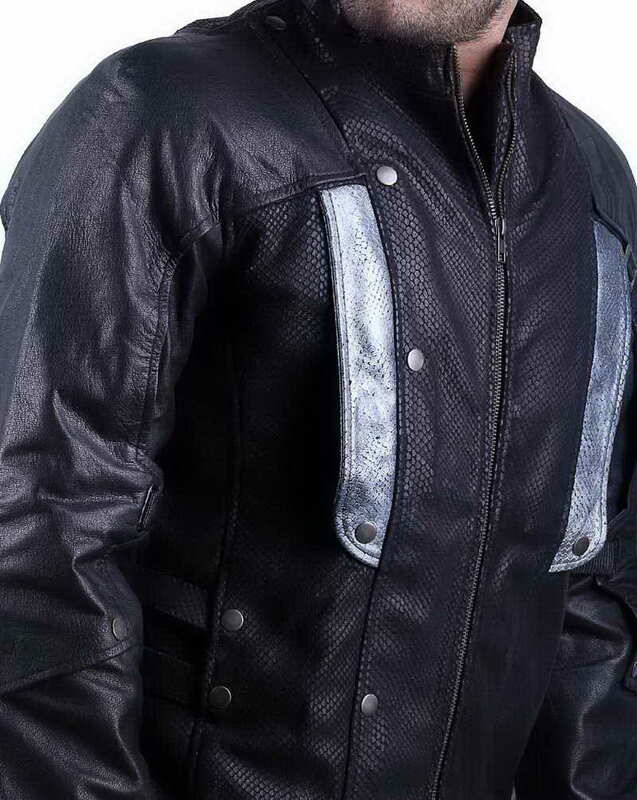 Our skilled workers give it a fine tune to this best-selling attire to make you exactly look like as real Guardians. 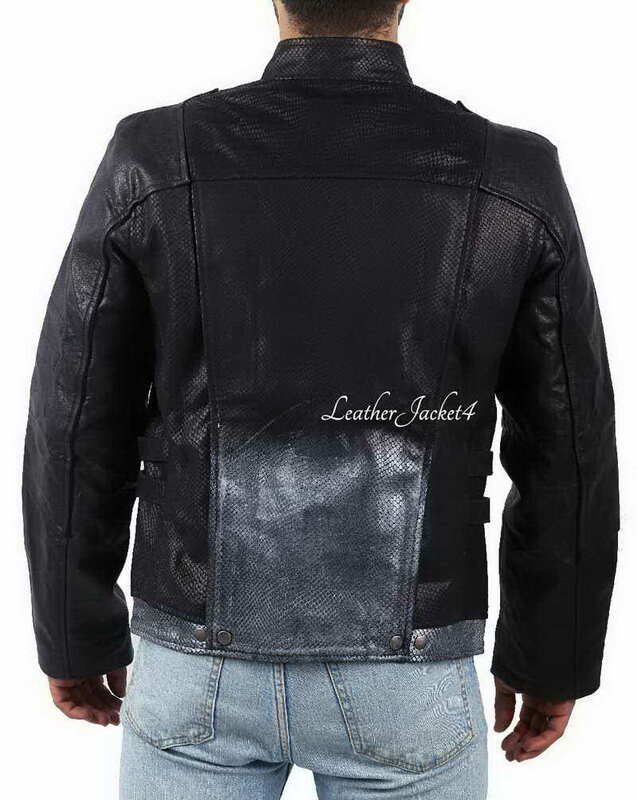 Leatherjacket4 gives you best offer for this artsy. 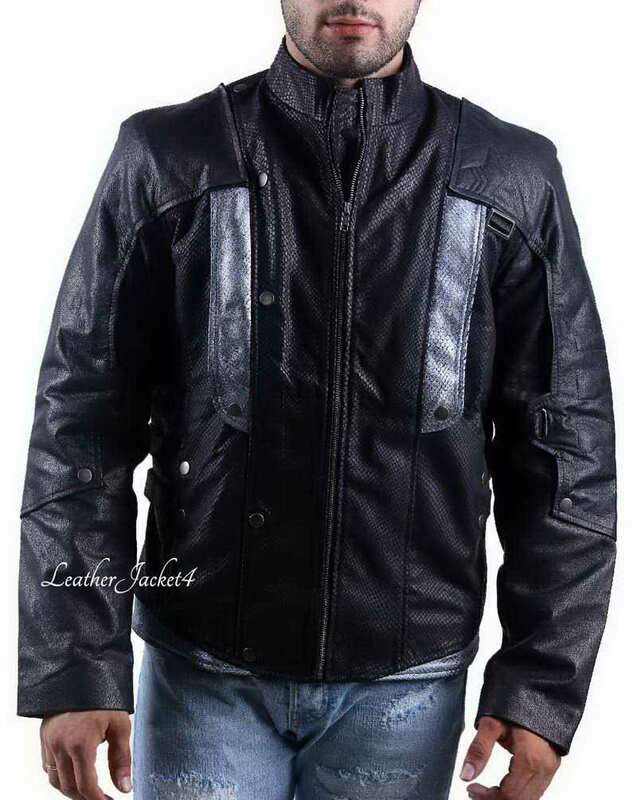 Star-lord jacket is made of Real Goat Leather over textured article to give new and different look and conveys the high quality and long lasting traits. 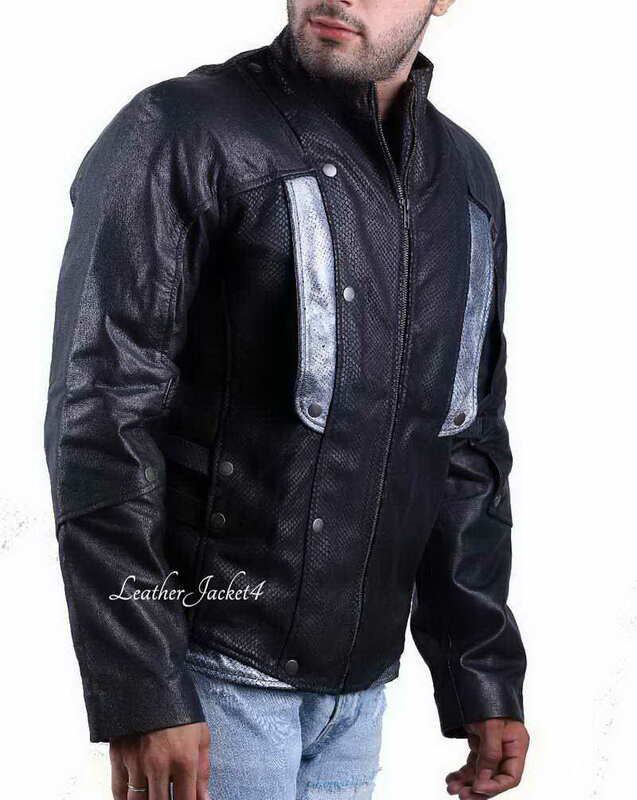 It comes with full YKK zipper front closure and stand-up collar with nice fit to state the homey feel to your body. 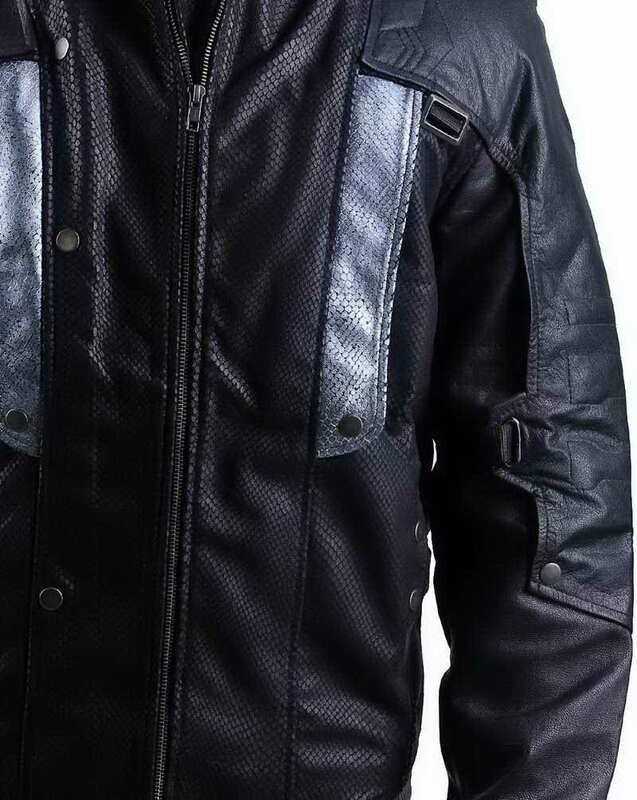 Its internal viscose lining adds more comfort and warmth. 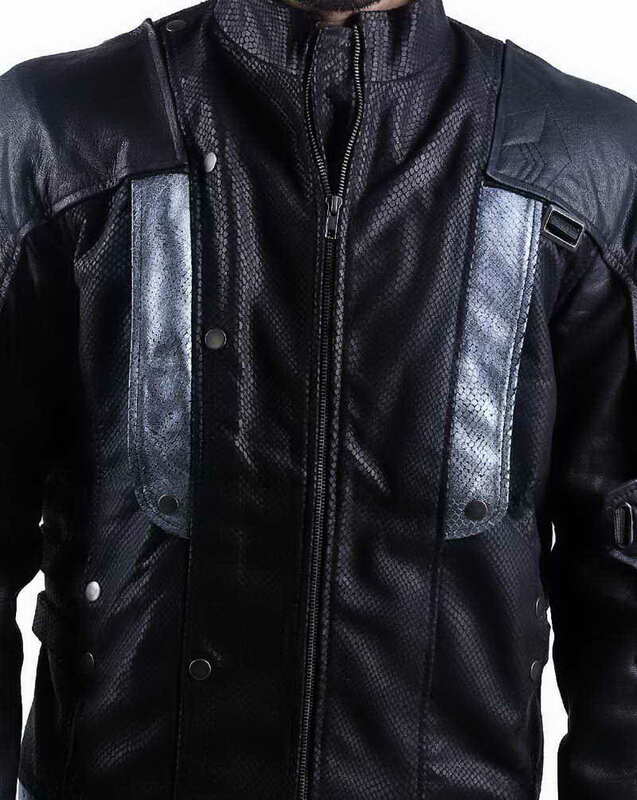 there are padded strapped design at front section and over to the sleeves. And of course two complimentary pockets on waist and two insides are essential to your smart phones and wallets.